The Foundations Program is offered in Aberdeen, Bel Air, and Edgewood communities. Students grade pre k- 12 who are categorized as at-risk due to economic, linguistic or academic reasons, come to a one-on-one tutoring session where they receive support from a certified teacher as well as an English-speaking peer mentor. Students are encouraged to work on homework together and build a relationship of compassion and caring, while learning leadership, civic, and language skills. The secondary students are paired with adult mentors who monitor goal-setting and successes. The programs are designed to provide the emotional, social, and educational needs of children and youth in an atmosphere of support where all students can succeed. Our summer camp is an extension to the youth mentoring program. 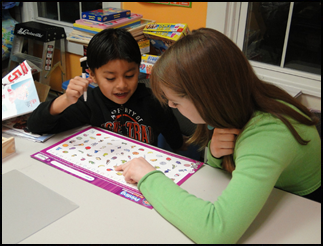 The camp focuses on the student’s role in the community, while reinforcing academics in reading, math, and civics. The camp runs daily, Monday through Friday, for the month of July. The academy is made up of youth grades 6- 12 who work on leadership and civic commitment. The students meet quarterly for leadership retreats, partake in community events, and implement service projects, while building their interpersonal skills and increasing their self-worth. The Butterfly group is designed for girls ages 9 to 21. The program is designed to build a community of support for the girls as they learn to bridge between their home culture and that of the USA, emphasizing acculturation over assimilation. Girls are paired with adult female mentors to guide, motivate, and encourage them as they become successful and productive citizens. The focus of the group is character and leadership, wellness and health, financial literacy, academic success, healthy relationships, and life planning. The Embrace Program is a wrap-around service with the goal of strengthening family life, school life, and the personal life of any student enrolled in school. It focuses on the child and family unit working together in multiple sessions throughout the school year to address prevention, intervention, and diversion programs for at risk youth. The basic criteria include low academic level, high absentee rate (8+ absences), low student engagement, disruption class, and issues at home or in the community. The Getting Ahead Program is offered to disconnected/at-risk youth between the ages of 16-24. The classes will begin on Saturday February 3 and run once a week through Saturday May 19th from 8:30am-11am. The purpose of the weekly meetings are to help youth set goals and teach them organizational techniques which will assist them in improving their quality of life. Referrals can be made by contacting our office with the name of the person being referred and his or her contact information. The Aspire Program will begin in February and is designed to meet the growing need of â€œvisionâ€� for at risk youth and young adults within Harford County. We strive to offer a clear, attainable pathway to help change the life trajectory of at risk youth. Our program focus is aimed towards those individuals who struggle with traditional schooling, and therefore lack the education to then go on and become self-sufficient adults. We engage the client by offering an alternative high school educational experience and internship placement. Referrals can be made by contacting our office via phone or email with the name and contact information of the person being referred.